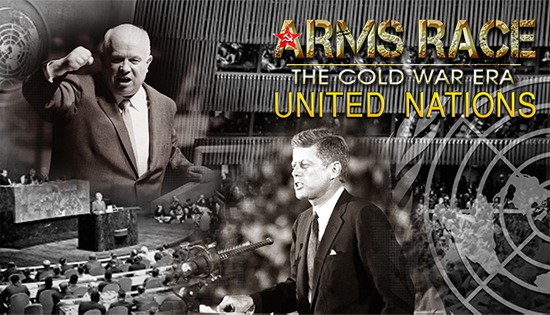 Arms Race is two options (RTS/Turn Base) strategy game based on the epic conflict between the Americans and the Soviets spanning 1950 to 2000. Players can defeat their opponent with military might, stealthy spies and advances in Space Race technology. Play within a realistic atmosphere that recreates the true Cold War. Install military units to prop up local Allied governments or transform rebels into revolutionaries in Opposing countries. Launch rockets, satellites and astronauts into space to shock and amaze the world and win its Alliance.